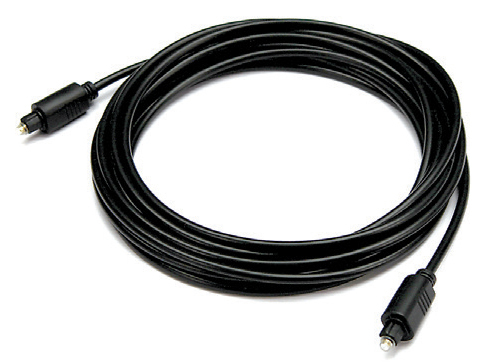 Optical digital audio signal cable, designed for car audio applications, allowing the transfer of the optical signal without signal loss. An especially thicker sheath protects the optical fibre to prevent the cable from damages if it is pressed against sharp edges. The sturdy connector connector protects the optical fibre along its full length, ensuring a stable transmission of the signal also in the event of strong vibrations. Ending with Toslink connectors for S/PDIF digital audio signals.